Tea drinker's rejoice! Now you can finally enjoy a delicious tea made from the coffee plant! Many might not know this, but coffee as we know it is literally the seed inside of a cherry-like fruit. While usually recycled into compost, many coffee growers have been working on methods for reclaiming the fruited flesh of the coffee cherry to use as a food/beverage product of its own! While many people simply have used it to brew a tea, it is simply dehydrated fruit that can be straight eaten if you like, or used as an ingredient in a recipe (like pie? be creative!) I've also seen some pretty good cocktail recipes using this product. The flavor profile is fruity, with tartness and a dried fruit sweetness and a floral aroma of hibiscus. 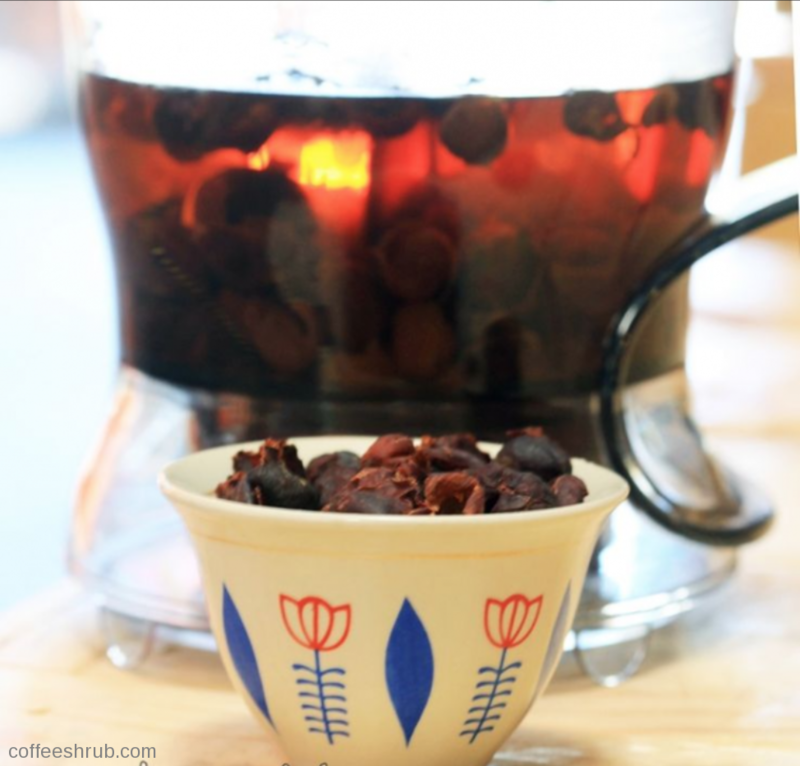 Check out this link to read up on "cascara tea" and to get some info on usage. This is our first batch of coffee tea, and we are just checking it out as a novelty. If there is great demand we can continue to stock it, but for now it is a one time opportunity! We are selling a 6oz package (standard 1lb coffee bag) for $15. Check it out and let us know how you like using it best!